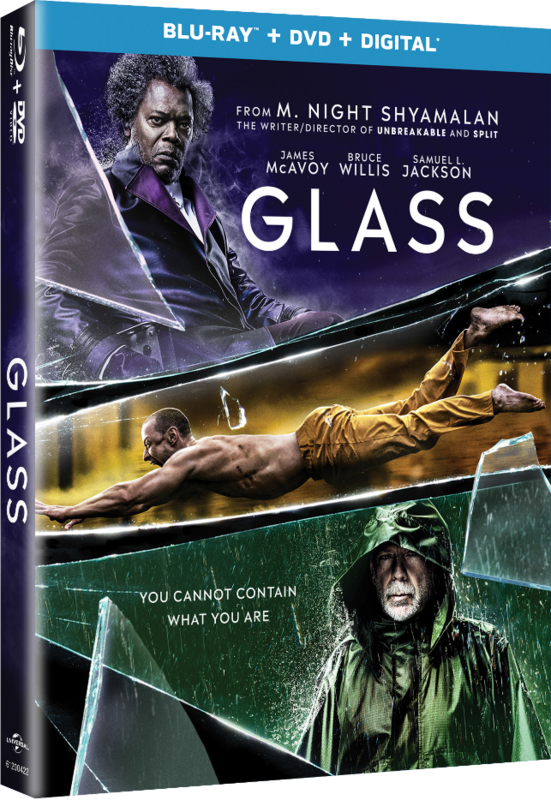 Glass, the final installment in M. Night Shyamalan’s Unbreakable trilogy, is coming to DVD and Blu-ray on April 16, 2019, and we’re giving you the chance to win a copy for free! We’ll randomly choose 3 commenters who will each win a Blu-ray/DVD/digital combo pack of the movie! No purchase necessary. Total number of prizes is 3 (retail value $24.99 each). Any other expenses incurred as a result of winning this prize, including taxes, are the sole responsibility of the winner. Fulfillment by Nemer Fieger; shipping address must be within the United States and must not be a PO Box. This giveaway is in no way sponsored, endorsed, administered by or associated with Facebook. Participation constitutes a release of Facebook by each user with respect to the promotion. How to Enter: Like the Twin Cities Geek fan page (http://www.facebook.com/TwinCitiesGeek) on Facebook and respond to the giveaway prompt on the designated post (https://www.facebook.com/TwinCitiesGeek/posts/1556071451192107). One entry per person. Selection and Notification of Winner: Each eligible entry will be assigned a number in ascending order based on the order in which the comments were posted. A number will then be chosen by means of a random number generator, and the user who posted the comment corresponding to that number will be deemed the winner. Odds of winning are dependent on the number of entries received. Only one comment from each Facebook account will be counted. Any individual found to be using multiple accounts to enter will be deemed ineligible. If Twin Cities Geek is unable to reach a winner within 24 hours of selection, or if a winner is ineligible or otherwise unable to accept their prize, then the above process will be repeated until the prize is successfully awarded. Eligibility: One entry per person. Void where prohibited by law. In order for an entry to be counted, the comment must be posted by 7:00 p.m. Central on March 22, 2018; the comment must follow the giveaway prompt as described above; and the account posting the comment must like the Twin Cities Geek Facebook fan page. Current Twin Cities Geek contributors and editors are not eligible for entry.